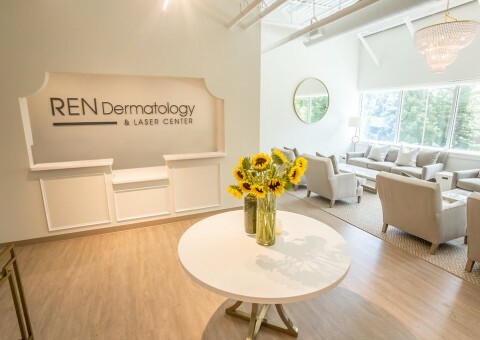 Providing patients expert medical and cosmetic dermatologic care in a welcoming and comfortable environment. Call 615-835-3220 for more information and to schedule an appointment today. Follow us on Instagram and Facebook for up to date info, promotions and the latest updates on the official mascot of REN Dermatology, Poppy!! Dr. Gelbard discusses the popular non-invasive treatment for female intimate wellness in Style Blueprint. Check out the article to learn all about the CORE Intima treatment for vaginal rejuvenation. 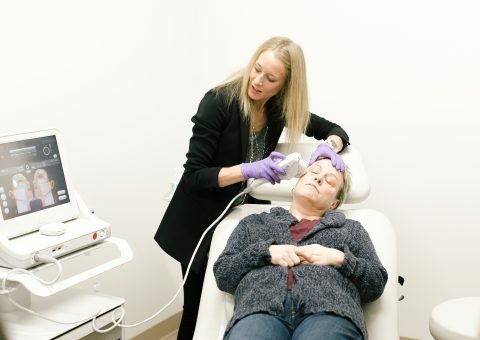 Ultherapy – an FDA approved treatment that lifts and tightens your face, neck, and chest in a safe and non-surgical procedure. 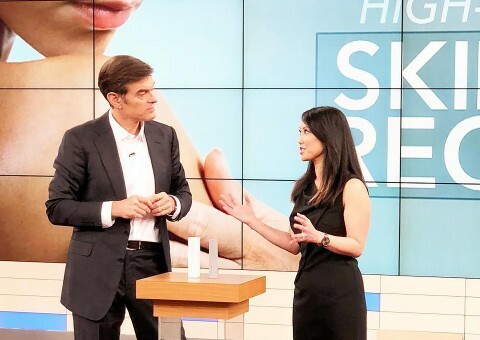 News Channel 5 interviews the experts at REN Dermatology as they discuss sunscreen, SPF and all of the facts you need to know to keep your skin safe during summer. “I can’t give enough praise to Dr. Lee and her staff at Ren! Dr. Lee has been following my skin cancer needs for a couple of years and I have extreme confidence in her. Kara gives incredible facials and advice on how to remedy skin problems. Dr. Lee’s nurse practitioner, Meleah, even helped diagnose a gallbladder/liver problem by suggesting a blood test for what I thought was a simple skin rash. Within two months of that test – I had back-to-back surgeries and was recovered by Christmas. 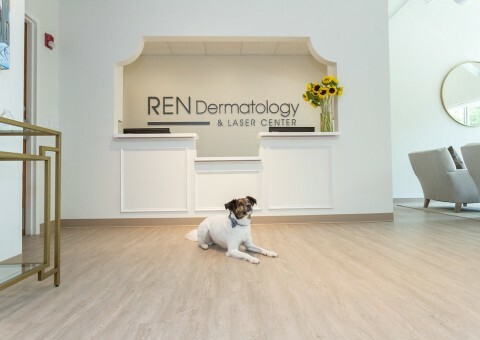 I couldn’t be happier to have found Dr. Lee and her wonderful staff at Ren.” — RITA J. “I love going to REN dermatology! The staff is super friendly and helpful. They all make me feel special. The quality of the work they do is great and very professional. 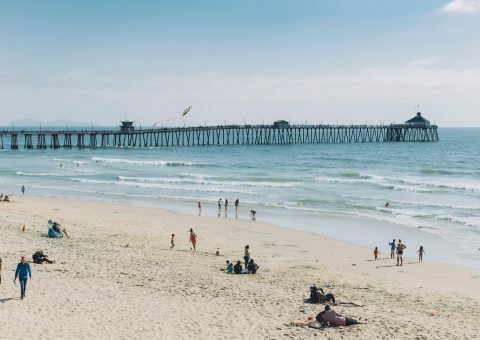 Every time I have a question I get an honest answer and the knowledge of the staff never ceases to impress me!” — MARIA C.
“I had my first visit with Dr. Gelbard and she is a wonderful physician. She was kind, thorough, and patient as I went through a long list of nevi that I was very concerned about. Thank you so much Dr. Gelbard!” — MIRANDA B.
I recently had a serious skin rash that was highly resistant to treatment. Dr. Lee and her team were persistent in finding a treatment protocol that finally worked. Dr. Lee also went the extra mile to ensure my insurance plan would cover the treatment. Throughout the experience, the REN team was compassionate, caring and encouraging. In addition to my medical needs, I have been very pleased with the results of Dr. Lee’s cosmetic procedures. I cannot recommend Dr. Lee and her team highly enough! – Joy H.
“You made my day. We agreed that my skin condition was very much improved. You also removed several bumps without much discomfort. thanks! !” — THOMAS W.
Book an appointment at either of our two locations. We are located in the Harpeth Medical Center at 1195 Old Hickory Blvd. Suite 202 Brentwood, TN, 37027 and Franklin at 155 Covey Dr. Suite 200, Franklin TN, 37067.